Here's a little note to let you know that we're busy bees around here! We're working hard behind the scenes to get some classroom design and organizational ideas ready for the start of the school year. Amanda has been brainstorming and writing, and Marcy is designing away. 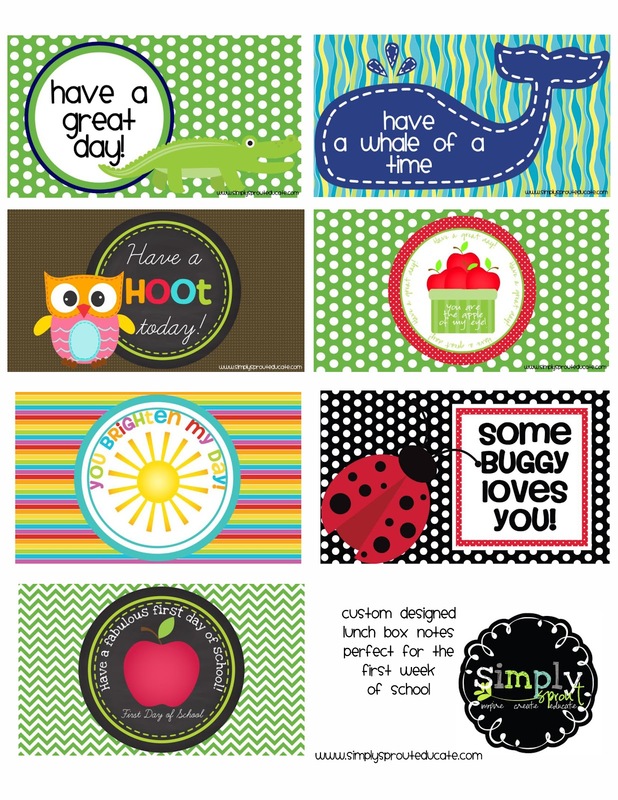 To see a sneak peek of some of our back to school designs check out our Teachers Notebook site. We wanted to leave you a sweet note (or a few) to let you know that we're thinking of you! These super cute lunch notes are a great way to drop a line to your favorite student during the day. Print, cut, and pop in a lunch box or two! You can also find them in our Teachers Notebook store for FREE! Who doesn't love a smile or word of encouragement during the school day! ?